NORTHERN AND CENTRAL CALIFORNIA have a lot to offer active travelers — beaches and bluffs on the Pacific Coast, mountain trails and hot springs around Yosemite, wineries and unparalleled agriculture through Napa and Sonoma Counties and the Sacramento Valley. But for me, it’s important to be able to unwind after a day of hiking, cycling, or sightseeing — even wine tasting can take a toll on the body. The spa culture of Northern California and the Central Coast is perfect for those looking to experience the state beyond Hollywood’s glamor and the rest of Southern California’s already laid-back attitude. Here, you’ll find luxurious spas that will complement any trip to this part of the Golden State. Part of the Rosewood Hotels line, the Sense® Spa is set within local vineyards in the San Martin area, a short drive south of San Jose. Aestheticians incorporate natural elements of the surrounding environment into treatments, using the healing properties of grape seed oil in many of their specialties. The spa’s CordeValle Signature Raindrop Ritual is the best way to experience this, which has a grape seed body gel exfoliation and grape seed head massage. The Spa specializes in “Farm to Spa” treatments sourced from the best of Sonoma County — Meyer lemon sage massages, wine and honey wraps, and stress relieving facials with ingredients from local farms. Staff members provide services that revolve around the needs of hotel guests and clients; there’s even a special Deep Relief massage for cyclists coming in after a day of exploring the wineries and other nearby attractions. Travelers headed to Napa Valley’s wine country can get the full vino experience by adding a little Chardonnay or Cabernet into their spa treatments. This property provides services that use the healing benefits of wine and grape seed oil, and most packages come with a complimentary glass of wine from a nearby vineyard. This spa also draws from the natural offerings of its Napa Valley setting. Their Honey Bee Healthy massage uses a beeswax mask on the back, and local goat milk butter is a key ingredient in their Goat Milk Body Wrap. The spa is limited mainly to Carneros Inn guests, who also enjoy access to the eucalyptus steam room, sauna, and indoor and outdoor relaxation areas before and after treatments. Decorated with reclaimed farm materials, this spa some 50 miles north of the Bay Area is open to guests of the Farmhouse Inn. Treatments include the use of ingredients and herbs grown onsite and at the Farmhouse Ranch, like locally harvested honey, ginger root, and cider apples. Located within the Bernardus Lodge and Spa property, just inland of Monterey, SpaTerre offers an extensive array of options that include Chardonnay pedicures, Lomilomi massage, and detox wraps. The spa specializes in therapuetic treatments from around the world, as evidenced by their list of global rituals and water wellness offerings; Turkish Hamam, Balinese massage, and Aqua Floatation therapy are all available. Water and natural minerals are huge components of what makes the Spa at Pebble Beach so luxurious. The highlight of this spa is its unique selection of floatation wraps; guests benefit from the healing properties of plants, herbs, and minerals indigenous to California’s Monterey Peninsula. The technique uses a dry flotation bed, where the body is wrapped in a waterproof sack of lotions, herbs, and antioxidants, then placed within a bed of warm water. The Roman Spa Hot Springs Resort channels a European sense of luxury less than two hours from Sacramento. The spa’s mud baths use a combination of volcanic ash, peat, and geothermal mineral water from a local spring to moisturize and revitalize dry skin, which makes you feel “as if your body is suspended in a warm pillow of amazingness.” Mediterranean-inspired gardens and geothermal bathing pools are also available for guests to enjoy. 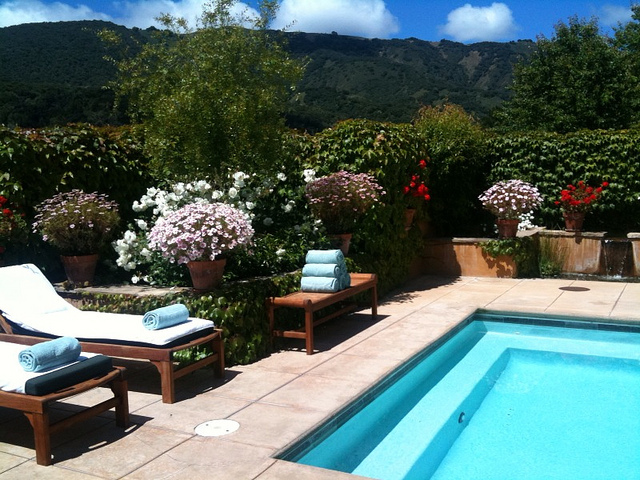 Travelers will appreciate the oak forest and hiking trails that surround Spa Aiyana, located in the Carmel Valley. The site encourages guests to explore the grounds before unwinding with massages, facials, body polishes, and Intraceuticals Oxygen Infusions in private treatment rooms. The spa cultivates its herbs and other ingredients in gardens on the property. The rustic, outdoor architecture of The Auberge Spa, situated within the northernmost reaches of the Napa Valley, makes it feel even more secluded than spas elsewhere. 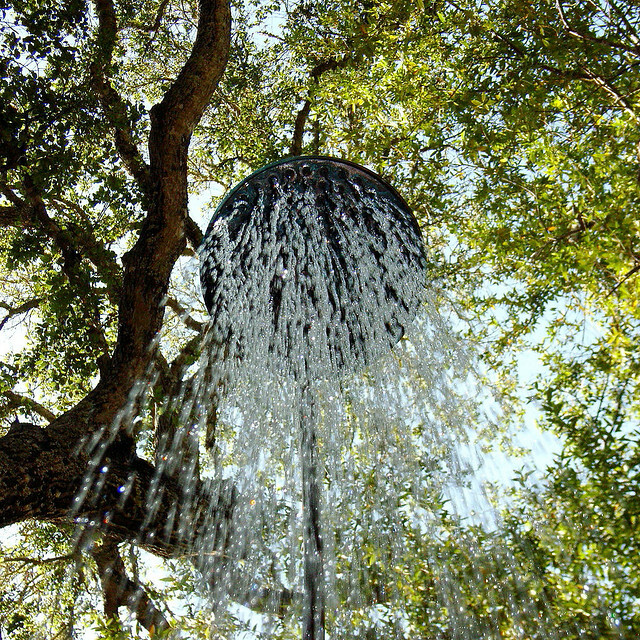 Here, guests can experience the healing benefits of mineral springs with private, outdoor garden showers and soaking tubs. Couples especially are catered to, with treatment rooms that accommodate two people at a time, and an atmosphere that evokes sensuality. The spa also offers mind and body restoration classes, including yoga, lifestyle coaching, and guided hikes. Inspired by the landscapes of Yosemite National Park, Ascent Spa provides travelers with a retreat from hiking, skiing, and the chaos that sometimes comes with family travel. With 12 treatment rooms, the needs of guests are exclusively handled, especially regarding how the dry mountain climate affects the body. The spa’s body experiences incorporate seasonal ingredients, and their Half Dome treatments are especially beneficial for active visitors. Travelers will get to experience the healing benefits of hot mineral springs at this spa, located further south in San Luis Obispo. The sulfur and other minerals produced naturally in the area are used in several spa experiences, including hydrotherapy, hillside hot tubs, and the site’s own oasis waterfall lagoon. Guests looking for an enhanced hydrotherapy experience can reserve a White Algae Facial, which uses algae, white tea, and copper peptides to even out and tone the skin of the face. Set along Pismo Beach, The Spa at Dolphin Bay offers guests treatments that incorporate natural sea salts, local herbs and medicinal plants, and unique beachside services such as massages that overlook the ocean. Visitors are also encouraged to explore the spa facility, engage in yoga classes, and use the property’s infrared sauna therapy.